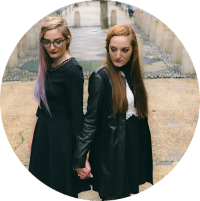 Let's talk about fashion bloggers again! Another blog we love reading is The Cherry Blossom Girl by Alix. make everything look like it just came out of a fairytale. 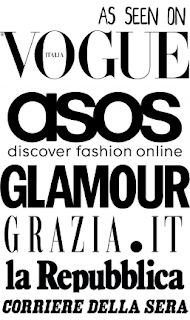 Parliamo ancora di fashion bloggers! Un altro blog che amiamo leggere è The Cherry Blossom Girl di Alix. e gli effetti polaroid rendono tutto molto fiabesco. Gorgeous! Hopefully once my blog is more established you will draw me! I can't wait to check out her blog! La seguo anche io, le sue foto sono splendide! She is definitely one of my favotite bloggers. Yes I have to agree with you with that! I love herr! Your illustration is very nice, I liked it. And Alix is such an inspiring person. i LOVE your illustrations, truly AMAZING! oh the illustration is very very cute!!! and her photo is gorgeus! Simply beautiful! Your art is so inspiring! love it! fantastic!love the colors! I can't get enough of your illustrations...you capture everyone so well and in a really fun, stylish way! Love it!! !